If you want to become financially independent in 10 years, Todd over at the financialmentor.com makes a cogent case for how the math works. 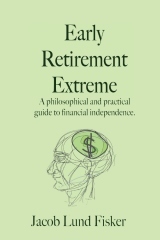 The extreme savings method is robust unlike other methods such as real estate or businesses which require a good deal of luckhas a high rate of failure due to causes beyond your immediate control. This means extreme savings will work in ~100% of the cases whereas real estate or business start ups will only work for a few, maybe 5-10%. “It takes the self-discipline(*) of a celibate monk living in a brothel to survive on 20-30% of what most people earn in our current culture.”, said Todd. I would say it takes an extreme level of independence, confidence, and leadership to go against the stream. This is perhaps why extreme early retirement attracts so many INTJs as this personality type exhibits those traits more than most other types. “Surviving” is easy; it’s the “spending less than you earn” which is hard because it makes you different. To wit, consider two families. One earns $90000 and the other earns $27000. The latter is surviving on 30% of the former just fine. No problem. However, it would take a self-discipline and an independent streak for the $90000 family to not spend in the same way as their friends and colleagues. On the other hand, if those friends and colleagues were spending less, it would be no problem at all. It’s the “not fitting in” that’s hard. This is why the ERE forums have come to serve almost as a support group for what are typically highly competent people who “should” be spending 5 times more than they do, at least according to everybody else. Many of the questions actually deal with the grief caused by other “well-meaning” people who don’t get it, not by the actual “surviving”. (*) Self-discipline is not that important. I eat take-out food on occasion. I sometimes buy things *gasp* new. In defense of extreme frugality: First, it certainly does depend on your values. Those values are not always to retire early. For me my initial motivation was environmental having realized how much waste our consumer culture generates. It took me a couple of years to realize that with the high savings rate I had, I would be FI in just a few more years. I used to enjoy buying gadgets, a lot. This, incidentally, was what I enjoyed most about my stuff. Doing “consumer research” comparing specs, buying the gadget, and playing around with it for a couple of months after which I lost interest. Then I was onto the next gadget. Had I kept this up, I would still be working 60 hours a week, but I would have owned the newest iPhone and been driving a Prius or a Volt. It took a few months for my values to change but eventually I got as much joy out of not spending money as I did bringing home shrink wrapped boxes of new toys. It is said that your need [for money] is inversely related to your level of skill. Money buys convenience but more importantly, it compensates for lack of skill. My favorite example is the malfunctioning toilet. Suppose your toilet fails to flush. Now, you could say that an extreme saver wouldn’t have the money to fix it and would thus quickly find himself in deep shitdiscomfort. However, an extremely frugal person would likely learn (quickly) or have learned to fix the problem himself. The end result would then be the same: A working toilet. So both solutions are ultimately convenient. However, imagine that the toilet broke Saturday night (don’t ask!) and you couldn’t get a hold of plumber until Monday morning. Wouldn’t it be more convenient if you could fix it yourself? It takes time and effort(*) to learn such skills. I’m reminded by another quote by Illich which I paraphrase to something like “a man is educated in proportion to his ability to understand and affect his immediate environment”. In this regard most of us are barely out of the toddler stage. If we have a problem, many of us just call an authority. We usually pay others to “understand and affect” our environment because we just never learned ourselves. We’re like idiot savants who only understand one thing, our job whatever it may be, but we understand that really well to the exclusion of everything else. This can change. Fixing a toilet, knitting a sock, building a bicycle, installing a compressor to make a fridge, and similar projects aren’t rocket science. It can be learned by anyone who can read and follow instructions. It’s just in this society that nobody does it. On top of this there is a tremendous sense of satisfaction in being able to say “I made that” or “I fixed that” that, at least for me, far surpasses saying “I bought that”. For me the latter always comes with a sense of shame. To illustrate, I will think that your new sports car is nice and fun to ride in, but what really impresses me is a heavily self-modded truck that gets twice as many MPG running on bio-diesel or an electric scooter built out of conduit pipe, old frame parts, and discarded golf cart batteries. Standard cars mean nothing to me. Conversely, I understand that the LA dating scene is entirely predicated on the price tag of one’s vehicle. So I may only be spending $6-7,000/year but do consider the value I’m adding using those monies for parts and optimized living and location compared to someone who is spending $60,000 blindly. We may just be getting the same value out of it. Sometimes it is argued that the absence of money excludes certain things. This is correct, but they also include things which are otherwise out of reach due to the absence of time spent on the job. When you’re FI, things change. Things are done differently. It would be too expensive for me to take the family to France for a month every year. However, it would be entirely feasible for me to move to France (yes, I got an EU passport) and stay there for years because I don’t need a job, the plane ticket would be amortized, and I wouldn’t be supporting a house in the states. If I had kids I wouldn’t be able to afford expensive private schools, but I would have 12 hours a day to help them with their homework. I don’t have the budget to shop at Whole Paycheck, but I do have the time to garden. The same goes for sports. I can dedicate much more time to an activity which usually beats having a personal trainer and all the latest gear. There’s a strong limit to what money can buy which is easily surpassed with time and effort. Conversely, using the examples above, someone who works for a living can’t afford to go to France for 1+ years because they certainly can’t afford to pay for two houses (unless they were saving 50% already) and they might be underwater on the “biggest house they could afford” which would make for a hard sell. If they’re high earners they’re likely economically better off if they outsource the raising of their kids, because they need to work to pay for “fun-time”. And who has the energy for serious sports and gardening if one works 60 hours a week? Much more important than confidence and independence is the ability to envision the possibility of doing things differently. If you can’t wrap your head around it, you can’t set the goal, and without seeing the goal, you can’t get there intentionally. Many can’t imagine doing things for themselves instead of paying others. I believe this is the source of all the “I can’t live on $10,000/year”. To illustrate, $1000 will buy you a good bicycle. However, $1000 will also buy you enough parts to make SIX bicycles which are equally good. Most can’t imagine doing that—don’t you need a degree in bicycling or some such?! (But many are willing to stretch their mind far enough to maybe get TWO used bicycles of the same quality.) In the same vein a hundred bucks in carefully handled seeds will feed a family for months, organically too. A hundred bucks spent in a restaurant will feed a family for a day. I see this as the greatest barrier for most people are this is to a large extent why I’m putting my life on public display. Of course this is just meant as an inspiration. The point is not to copy what I do but to understand the principles and the philosophy. For instance, I’m not going to move to France, but some probably will. And you don’t have to live in an RV. That’s just what I do. 44 users responded in " Why so few succeed "
Thanks, it was a refreshing read. The philosophy is yet to get completely imbibed in me, until then I need such articles. I really agree with the point about changing values. If you decide to “spend less” without changing your values, you will never sustain it or will be miserable while doing it. This is so true. I couldn’t sustain brown bagging lunch at work despite numerous tries; however, once I changed my values (namely, the importance of not wasting left-overs and using the savings to further my financial goals), I actually enjoy doing it. “It took a few months for my values to change but eventually I got as much joy out of not spending money as I did bringing home shrink wrapped boxes of new toys.” I haven’t bought a new electronic gadget, new book, new game, or new clothes since Thanksgiving (when I discovered the ERE book). I hardly notice. Sorry not to add something specifically for this post, but I would like to ask/suggest a post about how you manage your cashflow. And by that I don´t mean the “rich dad” cashflow (that graph about assets, passive income etc). I mean the daily/monthly cashflow. Since one start to not receive a check every month (predictably), you have to manage your investments in a way to free some cash to pay some bills. I imagine your income may be uncertain or at least not as predictable as your bills. So, what do you do in order not to hold too much non-interest/dividend paying cash? If you think it´s worth a post I´d like to read it! I didn’t know you lived in a motorhome when I wrote that post. I just thought of obvious ways to save money while living affordably and that idea came up. Funny. Also, I agree with you on the “green” slant. I originally had that in the post as well but it was already too long. It ties into values. Green values should naturally lead to reduced consumption when actions are congruent with values. It is one of my primary motivators for reduced consumption. Finally, I’m an INTJ also. @rodpba – My personal cash flow is complicated and comes from a variety of sources. However, my expenses could be met with a the cashflow going into my broker account (which I can also write checks from)—the rest is just a bonus. Dividends from US companies are (usually) highly reliable and predictable paying out the same amount or a slight increase each quarter (different quarters for different companies). Some of the funds pay monthly (e.g. last friday of the month). All these amounts to several dozen inflows (checks?) per year—about one per week a random intervals, typically between $50 and $250 each time. I can tell you how much I’m going to get for each month for the rest of the year within 5%. I also have a pretty good idea about next year and the year after, etc. Where we agree is the extreme frugality approach is mathematically certain. That is clearly one of the beauties of the strategy (there are others). However, I don’t agree that real estate and/or business require luck. My experience is they are all equally valid paths to financial independence, but they require different skill sets to succeed with. The point at the end of my article is to build a wealth plan based on your unique attributes, resources, personality, disposition, and skills. For some of my clients that answer is unequivocally business or real estate – no luck involved. For others it is frugality and saving. Anyways, I feel pretty strongly on that point so I just wanted to bring it up. My husband and I have been living on half of a six figure income for the past two years (still a decent amount of money, I’d like to get our expenses still lower, it’s a process) and while at times it was hard, I am thankful we did it because my husband recently developed some health problems and our income currently looks like it’s zero for the time being. If we didn’t have the huge emergency fund we do, we’d be in so much trouble right now. At least I feel like I can breathe a little bit and he can work on getting better. This means more to me than toys. An article that express some views opposite to yours can be such a inspiration. Todd’s article is great and well written. About your article, I’m suspect to judge, I just agree on everything. Some weeks ago my house’s main pipe broke. It was so easier to learn how to fix it myself, instead of worrying about finding someone to do it, worrying if it would be well done, how much it would cost. There was a comment that I was thinking if would fit better here or in Todd’s blog. I’m putting it here because I think is more tuned to ERE. Todd make a very good point asking why someone want to retire. I agree that most don’t really want to be retired in the full meaning of the word. Most just want to do other things with their time. But one thing that none of you two talked about, but I know most of the readers here feel, is that some people like me lost the hope in the system so deeply, that wouldn’t want to work any other conventional job. We’re just done with that. No other job could motivate us. Not even a lot of money could motivate us to keep working in this system. I want to work for myself, for my family, and for society (at least for the part of society that I feel that deserves it). But I wanna do it my way, the way I believe in. It couldn’t be in any job. I’d rather garden, build, cook, take care of our health, take care of our safety, teach what I can. In fact, I love nature and it all fits together. Country land and living is also cheaper. rodpba, I’m also from Brazil. I think I heard about another guy from here also reading here. We should know each other! Maybe start a thread on forum? Jacob, I’m glad you’re there. When I first started to read your posts, I thought you were a nut. Now, I’ve taken what you’ve said, and my life has changed. I think I probably do some things even more extreme than you, but overall, you do much better. It’s become a game with me. Instead of driving to the golf course, spending money on golf and gambling, I now choose to play tennis near my house. And I’m having more fun playing tennis. It’s a small change, but that alone with making my own food saves me thousands a year. Many times I’ve gone to family get togethers at buffet restaurants and all I eat is the rice and beans and have paid well over a $100. Just these small changes can change drastically how much I spend. Yeah I dont know if I would have the commitment or the ability to build my own bicycle or grow my own organic foods. I have a problem even cooking from scratch, let alone to supplying the food I cook with. I like what you have to say here, but I also have to look at the time involved with learning and completing these tasks as well. It takes away from work. family, social life? But as you said, it’s truly a dedication. I think it is a matter of choices! What choices we make to satisfy our wants and needs. Don’t we all make a choice to live the way we do as well as choose what we do as a career? When I earned more money, I spent more! I earn less and my expenses are reduced too. Maybe too simple! @Jacob – Thanks for the reply. @bigato – Nice to hear that. Not only the obvious coincidence but that I see myself as well with the feeling you described. We can open a thread or if you like, my email is @hotmail.com, with this username. @Jacob again – I guess you can feel proud once more about this blog, not only by setting an example but by uniting like-minded people. @mike crosby — when I first saw this site I thought Jacob was a bit extreme too. However, I quickly realized that he articulated many of my core financial values very well, and that I could easily adapt the theory to my own practices in my life. It’s a very exciting journey. I’m honored. And I’m impressed (better yet, inspired!) by you too. Living in France for a whole year rather than traveling for a month makes SENSE!!! I can now forgive you for writing an offensive (and almost turned me away from this site) article where you dissed traveling altogether while back. @upo – I’m dissing tourism. I have lived in three countries: Denmark for 24 years, Switzerland for 4 years, and the US for 7 years. I think a lot of perspective can be gained from living in different countries. However, I don’t put much value in tourism. I’d say as a general rule if you haven’t filed a tax return (held a job) in the country you’ve visited, you haven’t gained enough of a perspective and have only seen the country from the “outside” as a visitor 😉 Being a visitor can be amusing but I mainly consider that to be a form of entertainment; not so much a form of personal development or international understanding. I found this a very illuminating article. I keep thinking how I can save an additional 1% for retirement but this makes me feel I really am aiming too low. My husband and I used to live on around 15K a year for a number of years while I was in graduate school. Now we combined make over 70K while we are not saving anywhere near 50K a year. True we have a house and 2 kids (and all the expenses associated with that) but maybe we need to rethink it. My husband still does alot of things himself, fixing his bike, fixing things around the house, cooking food, our older daughter has a little garden, but I’ve fallen out of those things, even cooking because I’m at work all the time. And I miss that. There is real satisfaction doing something yourself, and having that self-reliance. I found that to be very interesting. Especially that there are so many INTJ’s. I can totally see that. In high school, I was an INTJ. Thanks for the very insightful post. I like a lot of your early retirement philosophy, and I have avidly read most of your posts. I am just not as extreme yet… I have 3 young kids, and there are certain things I think it’s worth working for (a good education, for example: I wouldn’t want my kids to get 12 hours of me a day! — and relationships: that includes a vacation to Europe every year to visit my relatives). Otherwise, by worldly standards, we are probably reasonably frugal (no TV, etc.). Also, on the point of not hiring repairmen, etc. : I am not much of a handyman (I have done tiles and fixed other things, though) and I don’t enjoy certain chores (for example, painting). Since my hourly rate is much higher than the painter’s, I think it makes perfect sense to work 2 hours, so that I can pay the painter to do a 10-hr job, while I take a hike with the kids. Or am I missing something? Finally, I would be interested in hearing what you (and others) think it’s possible/reasonable to do with kids. Thank you again, Jacob, for your very stimulating and fascinating insights! We live in one of the most expensive areas in Canada. I think I could personally live on far less than we are now and I certainly don’t feel the need to keep up with the Jones but my kids sure do. Expectations are high and kids are always comparing with their friends. I view this as my ultimate obstacle. My husband is also happy to pay for things he doesn’t want to do like recaulk a bathtub. Perhaps I should have done it! Something about the way we’re living is just not sitting right with me. I loved the article and other posts you’ve written and plan to do much more thinking outside the box in the future! The costs associated with a job are far greater than just the dollars spent on clothes and travel and your article really outlined them perfectly. I hadn’t thought a lot about this aspect of the whole idea of financial independence. I’ve recently become able to make financial decisions for myself and my children without any other input and find myself gravitating toward a simpler life. ERE is full of great information. Thanks for the wonderful resource and the reminder that it’s okay not to follow the crowd when the crowd is so good at drowning out alternative ideas. Yea, you are so right..
and this is even without a business..! My father and mother raised me in a “weird” way. Thank’s to my mother I can grow nearly any plant without chemicals. Thanks to my father I not only have the ability to shot a bow 90+ yards but I can also make a bow from a few good pieces of wood and some leather. I learned that baking soda trumps fluoride any day. But more importantly I learned to be inquisitive, which allowed me to get an “IQ” of 166. Maybe if my parents weren’t such big loners they could help a lot more people like your trying to do. But I guess my father being an INTP and mother being an INTJ didn’t leave them too social. I don’t think either of them would leave the backwoods ever if it could be helped. Though I feel I should add that has an kid with 166 I know that without a doubt if your only back up is dollars then your in a rough shape. The dollar WILL lose it’s value more so then it already has, you can count on that. All the skills that allow you to be truly be independent are what will value soon. Don’t ask how I know has an INTP I have contemplated it in great deal and these skills are invaluable now. Few people succeed because they don’t want it bad enough or they don’t really know what it is to be free. I tried on/off for 15 years to disengage from the corporate, big paycheck lifestyle but it wasn’t the money that i was earning/spending that kept me from finally breaking free. Every time that I ‘ran away’ (once for 5 years) I found that my life didn’t really change; I just had a lot more free time. I found that very confusing. I wrote a post on my blog – mexsandalguy – called ‘Freedom’ where I do my best to explain the conundrum of sorting out what it finally took for me to walk away. A hint – you need to have a ‘purpose’. Society makes it really hard for extreme saving, I myself have hones my self to consume less however when your partner and children who depend on you are constantly bombarded with consumption it’s hard to remain on the wagon. I come to realise that I’ll have excellent months where I’ve saved 80%, and terrible months where I’ve only saved 50%. The only remedy I can see is to keep consumption at a level which keeps a harmonious family life and work relentlessly on upping the income. Thanks for sharing, wonderful post. I came across this site awhile back and am laughing about the INTJ thing… yep, I am one of those too. While my husband and I are not quite there yet we are able to live quite well on one salary (mine) and I am trying to bump up my savings more and more. We had a few major set backs over the last 10 years with the birth of our son who had a multitude of medical issues. Things are settling down and we are back on track. The funny thing is the more and more you adapt the frugal lifestyle the less “stuff” you want. I have learned to appreciate what we have and not focus on what we do not have. Thanks for the post! Jacob you have hit the nail on the head with this comment. Your website is an inspiration. It’s an inspiration to the values of a humble and responsible being. Throughout history people have been forced to abide by responsible living. But to live it when “things are good” is a testament to an individual’s character. I’ve tried being extremely disciplined but I discovered that this approach meant I binged from time to time which undermined my discipline. I think its important to find your comfort zone and right level of discipline to succeed in the long term. Belonging to a group of people who save religiously has helped me too! Thanks for posting Jacob, interesting to say the very least. Only a few people succeed because the goal as well, as the process to obtain that goal, is clear enough, important enough and stimulating enough for them at this time and in the present set of circumstances in their life. The notion of ERE/FIRE is very new to society at large. The Protestant Work Ethic has held sway over society and its workers bees for a long time. Both the idea and the possibility of what people who read this blog live first hand has been the scourge of so called moral society…obediant workers, consumers who know their station is a requirement. However, at some juncture in time and circumstances, when people catch on and see the other narrative they just take off and go with it. No matter how committed to the system they were beforehand. I am one of them and 6 of my friends are there with me…we were out of the system in 7 years or less. Wow, I really love that and I feel like it is very true to a certain extent. I know that once I owned my own house all the sudden I learned to become my own handyman for 90% of the projects I needed. Installing closet doors, garbage disposal, minor plumbing, etc. I feel like the exception is when our time is limited is when your skill has less to do with things. For example parents with new babies have less time to spend on house projects due to infant care. I myself have never had kids but I am an uncle and I have seen how much time they can consume. I think time constraints are what stop most people from being able to live a frugal lifestyle. For some people this is justifiable because they may not possess the skills necessary to land a decent paying job, therefore forcing them to work multiple jobs to make ends meet to support their families, but for many it comes from a place of convenience. That is a cogent argument that the more “extreme” you can save, the less you have to take your chances on the Roulette wheel of leveraged real estate, high tech stocks, etc. The older I get, the more I realize the value in saving more and relying less on chance. Tks for putting yourself out there, being an example, showcasing the frugal style and inspiring us all with your thoughtful posts. I have also reached FI (with a mix of very disciplined frugality + life hacking low costs + aggressive saving + a successful sale of my share on a startup I worked for 10+ years. And having succeeded in getting out of the rat race has opened a whole new world to me: works that is personal fulfilling, time with family, cultivating hobbies, making money from consulting gigs, teaching, mentoring, traveling, writing. And honing investment skills. I follow the “Die Broke” principles: Quit today, never retire, pay cash and hopefully die broke. For me the test is to know what really gives me satisfaction, what adds value to my life; when enough is enough. I kept many of my frugal way of living from my poor student days. I apparently was green before it became a movement. Like many things in life, what I did not have subsequently rewards me! I remember to have seen the following in a bookstore window in N.Y.
We should all be so wise and lucky. Love this blog and appreciate to read/learn from everyone. Realizing the path to financial independence becomes a lot easier once a person puts a few dollars in an investment and sees the affect of having their money work for them. The hard part is getting people to do what is necessary to put themselves in to a position where they can afford to make investments.